A number of local authorities are already attempting to justify their move to commingled collections, despite fears they may face legal challenges if they fall foul of EU law. Colin Church, director for resource and waste at Defra, indicated the news in a tweet last Friday (17 January). Initially he announced that a legal challenge by two councils over a Defra decision to withdraw funding for the Allerton Park energy-from-waste plant had been dropped. @MeditativeDustWe don’t plan to publish further Government guidance on TEEP in England. “We have important terms in the Waste Framework Directive that have not been adequately defined as part of the transposition into national legislation. 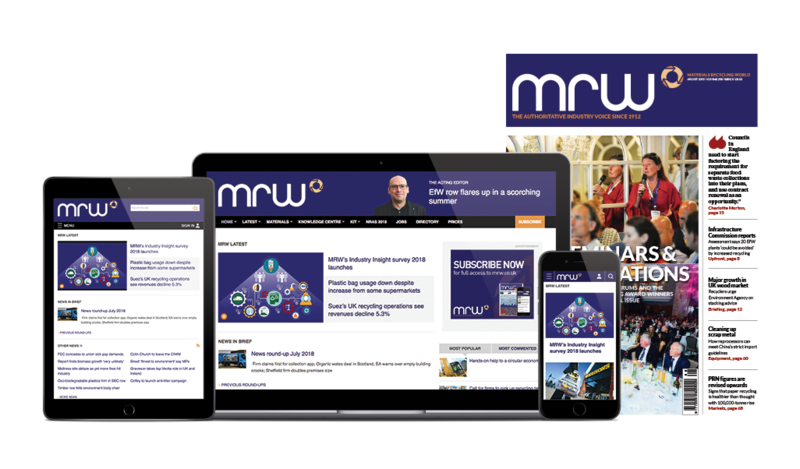 We have government departments issuing seemingly conflicting views – in the form of Lord de Mauley’s letter last autumn and DCLG’s recent ‘Bin Bible’ – about what the outcome of the Judicial Review means for local authority collections in England and Wales. In response to Church’s twitter announcement, Ray Georgeson (left), chief executive of the Resource Association, said: “Given the amount of time and effort we know Defra officials had put into developing a draft TEEP guidance document and the expectation generated especially within local government, I think the onus has to be on Defra to say a little more about why this is not being released than can be covered in 140 characters. Barry Dennis, Environmental Services Association director general, told MRW: “Defra’s decision not to provide local authorities with further guidance on TEEP is regrettable, as it leaves local authorities to grapple with the issue on their own and may add to the uncertainties they face in renewing waste collection contracts in the coming months. This month MRW reported that some councils had approached East Cambridgeshire District Council over a document it released in order to vindicate its move to a commingled collection service under the TEEP guidelines.